Scoring four top-10’s over the course of the season, Jeremy McLean was able to finish sixth in the year-end OSCAAR Hot Rod Series standings. The season would begin with back-to-back trips to Sunset Speedway, which allowed McLean to start off his campaign on a solid note. He ran strong in his qualifying races, along with battling for spots in both features for a pair of eighths. Unfortunately, the good fortune didn’t follow him to Kawartha Speedway as a mechanical issue would end his night early. He would work to solve the gremlins, but ultimately wouldn’t see the performance he wanted the next couple of weeks. 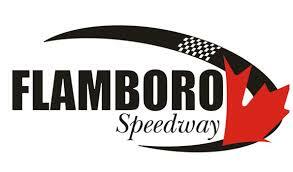 He finished 11th at Sunset on Canada Day weekend, followed by a 13th at Kawartha. The trip to the beach was exactly what the doctor ordered, though, as he was able to get his season steered back in the right direction. He would start off the month of September with a fifth-place finish at Sauble Speedway. He would then put dirt regular Brandon Crumbie behind the wheel for the race at Brighton Speedway, and the decision paid off. Crumbie won a qualifying heat, before leading a couple laps in the feature and finishing second despite the hood starting to come up into his view. He carried the momentum to Sunset Speedway, scoring his first career OSCAAR heat victory, before placing 12th in the feature. He ended the season with a ninth at Flamboro Speedway after being involved in a mid-race incident.